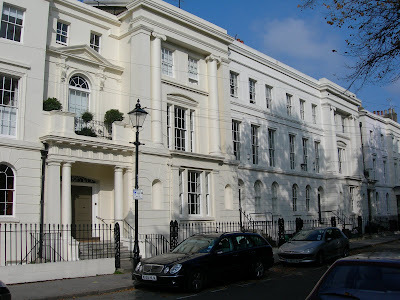 In the middle of Bow, in East London, just a five minute walk from the Mile End Road tube station, there is a beautiful garden square with houses that would not be out of place in the more affluent parts of Kensington. The North side of the Square is the grandest with fine stucco and classical decoration - hardly changed since the nineteenth century. The land upon which the houses were built was originally pasture. 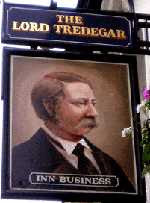 It was leased out to builders by Sir Charles Morgan of Tredegar, whose ancestral home was in Newport, Wales. Many streets in the surrounding estate have names with Welsh connotions - such Rhondda, Aberavan, or Cardigan. 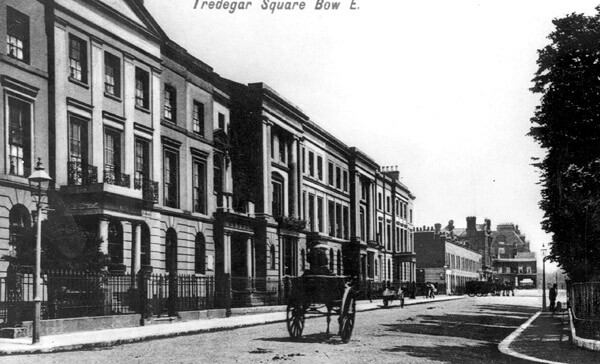 The development, was completed around 1860, by which time it had its own school, shops and church, along with several public houses. It even had its own murderer. (I know, I can hear what you're thinking - the VV is off on another blood-crazed spree. But, bear with me. The story is unusual and caused a great stir at the time). 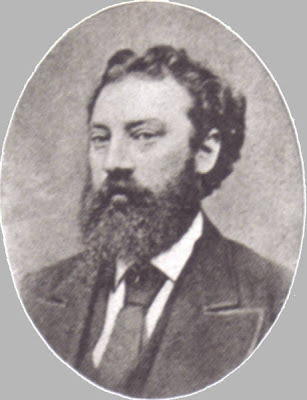 Henry Wainwright, lived at number 40, Tredegar Square, along with his wife and four children. He ran a brushmaking business on the nearby Whitechapel Road. Right next door was the Pavilion theatre - and Henry did love a trip to the theatre, socialising with many performers, even inviting them back to dine with his wife - though the younger, prettier actresses were entertained elsewhere. And, when he met a hatmaker by the name of Harriet Lane, he set her up as 'Mrs King' in various East end residences, the last being in Stepney's Sidney Square. But, Henry tired of Harriet's charms. She was murdered and her body was buried under the floor at Henry's Whitechapel warehouse. A year later, in 1875, with the warehouse sold and about to change hands, Henry was said to have exhumed the corpse, cutting it into pieces which he wrapped in thick canvas cloth. He certainly did try to move the remains, even asking a member of staff to help with transporting them to his new premises - claiming they contained hair for his trade. When the poor workman complained at the stench, Wainwright assured him that it would 'blow off'. A little while later, out in the street, when he complained again at the weight, Wainwright became exasperated, leaving his employee alone with the parcels while he went off to find a cab. Wainwright returned and loaded the packages into the cab and then travelled on alone. But during his absence, the suspicious employee had sneaked a look and discovered a human head and hand. He did not challenge Wainwright at the time, fearing he might be murdered too, but as soon as the cab set off, a constable was informed and, in due course, Wainwright was detained, red-handed, with blood seeping out through the cloth in his arms. "...standing as I now do upon the brink of eternity, and in the presence of that God before whom I shall shortly appear, I swear that I am not the murderer of the remains found in my possession. I swear that I have never in my life fired a pistol. I swear also that I have not buried these remains, and that I did not exhume or mutilate them has been proved before you by witnesses. I have been guilty of great immorality. I have been guilty of many indiscretions, but as for the crime of which I have been brought in guilty I leave this dock with a calm and quiet conscience. My Lord, I thank you for the patience with which you have listened to me." 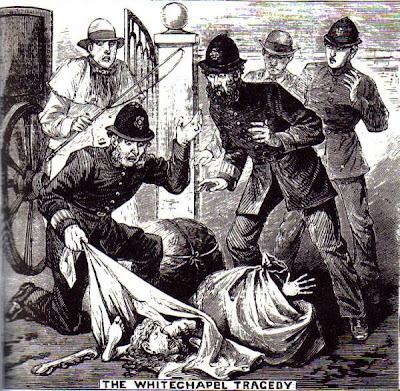 Contemporary newspaper reports of the Whitechapel-road Murder can be found in Lee Jackson's excellent website: Victorian London. 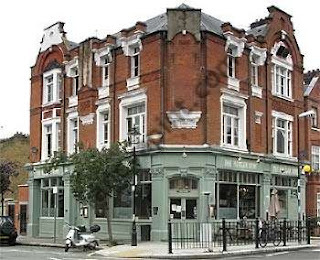 And, if - after that - you still find yourself with an appetite and a desire to visit Bow, I recommend a visit to the Morgan Arms, just to the east of Tredegar Square. The food and atmosphere is very good indeed. It was very complicated and nothing really resolved. Thomas had taken a false name when he courted Harriet. I think he was probably guilty. I've just found some new info from the courtcase which I'll repost. It's such a lovely area - and pub too.